It is very easy yet powerful method of software development. The phases are arranged so that it helps even the new developers to understand the big picture of how to go about developing the software through the software development life cycle. It calls for a disciplined approach to save on project time and cost as well effort. Otherwise the implementation team may develop a code only to realize later that it was not at all required. This happens much more than one might realize and it cause issues both in development and testing. The project management stakeholders are forced to correctly define the business requirements documentation (BRD) and the project management requirements. At the sametime the developers are forced to understand these thoroughly before they start writing the software requirements specification (SRS), high level design and code. It essentially requires documentation at every stage. This gives better understanding of the requirements, the logic of the codes and tests that were conducted on the software. In this method, all the requirements of the software need to be specified upfront and there is no room for committing mistakes. The project scope statement needs to be detailed in infinite depth from the start because changes are not possible when using waterfall methodology. This is because the only way to amend something which has been already developed is to go back and start again. This will cause huge problems on projects where the project sponsors are indecisive and quickly causes scope creep. Project communications with the client are extremely limited being either at the beginning or at the end of the development. In between, there is no way in which one can get feedback or potentially clarify any confusion over what the requirement actually means. The knock on effect is that it is up to the project team to make the key decisions on what requirements can be developed within the timeframes required, and what is developed later in a later deployment release by project planning in teams. This not only increases the overall time required to develop the software but also means that despite the team's best efforts, the customer may still be extremely unhappy with the end product delivered. Key team members stay idle for long durations. 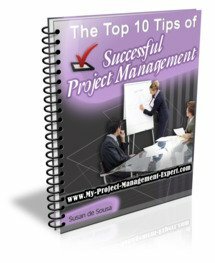 You see Waterfall does not operate on a matrix basis which makes project resource management an extremely rigid activity. Basically those allocated to the project stay on it until that phase is over. This as you can imagine, has a direct knock on effect on the project budget. It is a very rigid method which does not entertain any change in requirements and which makes any subsequent functionality changes required extremely difficult and expensive to implement. As such the fast pace of changing requirements determined makes this methodology difficult to use and calls for more nimble methods of software development such as agile methodology or SCRUM methodology. As you will see there are a great deal more disadvantages to waterfall software development than there are advantages. The reality is that today projects need to be faster, and change direction more swiftly which rather diminishes the amount of projects which can effectively use this methodology.